In a large bowl, mix and toss all ingredients together except sesame and salt and pepper. Season with salt and pepper and add in sesame right before serve. Gently toss again and serve. 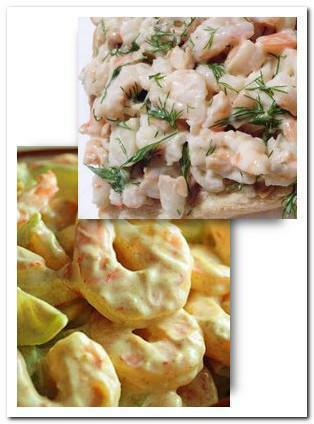 Shrimp salad with mayonnaise is an easy and quick dish. It can be an appetizer or afternoon refreshment. Serve this chilled during hot days is extremely good. Crunchy and cooled shrimp mix with fruits of your preference, and the dressing is very simple but flavorful.